This is a guest article by Arch of Scandinavia – a Swedish company on a mission to optimize the health of the people and the planet by using the latest breakthrough techniques such as low-level laser therapy. We have seen some quite amazing things ever since we took Erchonia on board the Nordics and integrated their technology with our applied neuroscience that we’ve been practicing at our clinics. The health improvements for some of our patients are astonishing even to our doctors. They include, for example, a 22-year-old woman Linnea, who was in a severe car accident two years ago. After just 1,5 months of treatment at our clinic, she learned to speak and move her arm. Suddenly, out of the blue, she got out of her wheelchair and gave the therapist a hug. Another stunning case was one 58-year-old man who came to us forced by his wife who had heard how things ”just happens” in Dalecarlia. After treatment in the clinic, this man reduced significantly his brain fog, gained speech abilities and increased his ability to move. In addition, one top soccer team was able to speed up their injury healing, increase their running speed and lower the stress levels of the players. Every day we see results like this, and yet, we get asked: “Does it really work”?. Let’s just say, that the brain and the nervous system is amazing with its plasticity, and we just have spotted the top of the iceberg. Today Erchonia has 15 FDA’s and loads of clinical research. The focus at the moment is on the big health concerns such as Alzheimer’s disease, autism, and obesity. 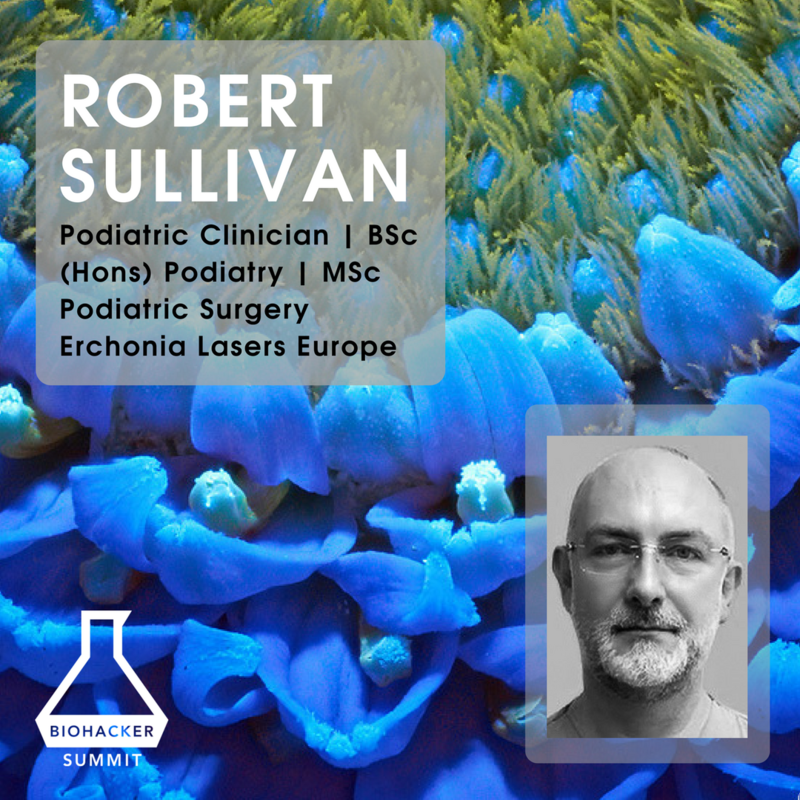 During the Biohacker Summit, podiatrist Dr. Robert Sullivan together with Sanna Holmgren, invited two volunteers from the audience to the stage to receive laser treatment. One of them was a woman with a headache and dizziness after a traumatic brain injury (TBI) from four months earlier. The symptoms of TBI are very difficult to solve in just one session, but many times even one laser treatment session will have a positive impact on the symptoms – her case being no exception. The science surrounding TBI is very interesting, to begin with. Using phototherapy to stimulate cranial nerves have been shown to lead improvements in TBI symptoms in human case studies and have a neuroprotective, anti-inflammatory and neurogenerative impact to the brain in animal studies. In addition, the research is going on stronger than ever. It should be noted, that the research on brain changes in living patients is relatively new. We have been able to examine the brain of a living person for only about 10 years now. Thus, the patterns and secrets of the brain are just slowly revealing to us. In Erchonia, we are already treating Alzheimer’s, autism, ADHD, ADD and other similar neurological diseases in our clinics around the world. Especially in our interest is the science surrounding phototherapy and mitochondrial health. The research in phototherapy started around 1950’s and at the moment Low-Level Laser will give you approximately 8500 search results on PubMed. Since 1974 low-level laser therapy has been a part of the public health care in Russia. So what’s in it for me, as a biohacker, you might ask? Can we, for example, slow down the signs of aging with light therapy? The research in mitochondria seems to indicate so. In addition, we in Erchonia Lasers have noticed that with light therapy it is even possible to increase neurotransmitters like dopamine, serotonin, and GABA, and see increases in cognitive functions such as memory and focus. We bring the future of the medicine to you today. Thus, get on board and join the future today – it looks bright!